Gambas are giant prawns - big, robust and juicy and bang on perfect for the grill – hell, they even come with their own armour after all so they don’t need a lot of care and attention…….not what you want to be pre-occupied with when grilling, it has to be rugged, rough and fantastically delicious. When grilling you need food that you can’t stuff up so the key to that is using food that is packed with its own native flavour and can take a little bit more of your own magic in the shape of what I call ‘Grillmanades’ – marinades for grilling! 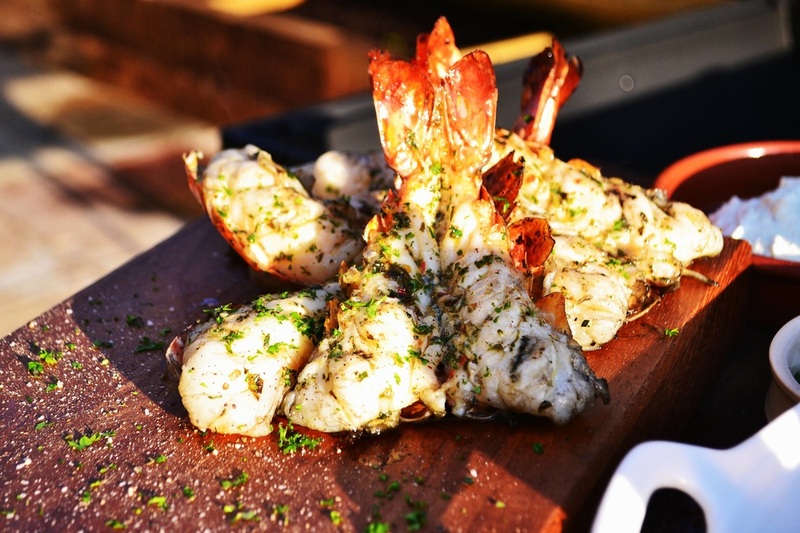 Kick things off about 1-2 hours before you wanna Grill – get the ‘Grillmanade’ which will coat the Gambas and kick them into Turbo! In a shallow roasting tray combine the Rapeseed Oil, Garlic, lime juice, chilli and parsley and mix into a thick paste. Next ‘butterfly’ the gambas. If you rule with a knife then spilt head to tail and open out or if not then get your Monger to do this. Season the gambas well with sea salt and cracked black pepper then dump into the Grillmanade and get the well coated with this heady mix. Do this only about 10 minutes before you want to grill them as the acid in the lime will begin cooking the Gambas before they hit the grill. Bring your grill up to ‘screaming hot’ – these bad boys won’t take long. Remove them from the Grillmanade and lay flesh side down on the bars and cook for about 2-3 minutes, then flip over onto the shell and leave for only about 1 minute. Make sure you check the flesh – use a sharp knife and pierce the flesh, leave it in for about 5 seconds, remove then touch the tip of the knife to your forearm – if it burns your gambas are cooked, this is a simple test of internal temperature – use it and never ever ‘guess’ with fish!